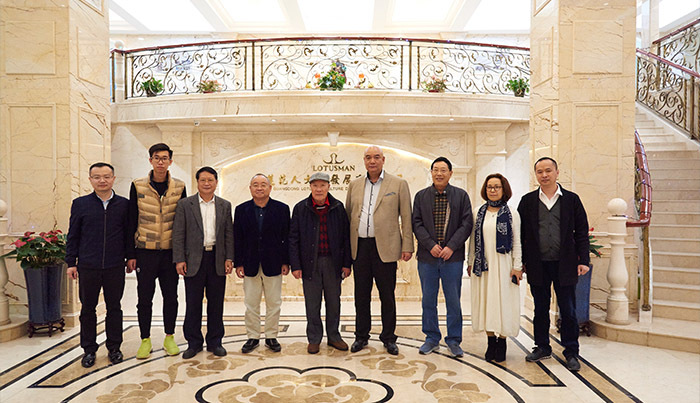 On December 24th, Li Ziliu, the former Mayor of Guangzhou City and the founder of the Overseas Friendship Association of Guangdong Cantonese Zhujixiang Descendants, Wu Liang, the chairman of the Overseas Friendship Association of Guangdong Cantonese Zhujixiang Descendants, Chen Yaoguang, chief executive officer of the Overseas Friendship Association of Guangdong Cantonese Zhujixiang Descendants, and He Jianhua, chief executive officer of the Overseas Friendship Association of Guangdong Cantonese Zhujixiang Descendants forming a delegation of nine paid a visit to LOTUSMAN. The leaders of the Global Association of the Cantonese focused on the Canton enamel technique, the intangible cultural heritage, then placed it as a new theme of the Association culture and decided to jointly promote the development of this craftsmanship featuring Cantonese culture. 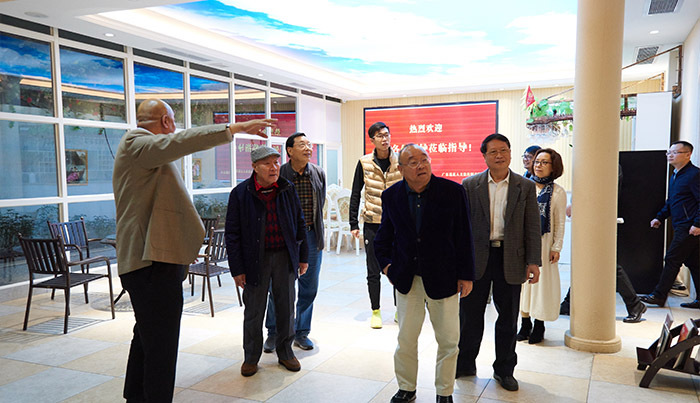 Li Ziliu, the former Mayor of Guangzhou City and the founder of the Overseas Friendship Association of Guangdong Cantonese Zhujixiang Descendants, thought highly of LOUTUSMAN’s restoring the craftsmanship featuring traditional culture of Guangzhou. Mr. Li also praised LOTUSMAN productions made with Canton enamel technique and made an inscription of “Workshop to revive the Canton Enamel” to LOTUSMAN, wishing that LOTUSMAN will develop and pass down the Canton Enamel technique. 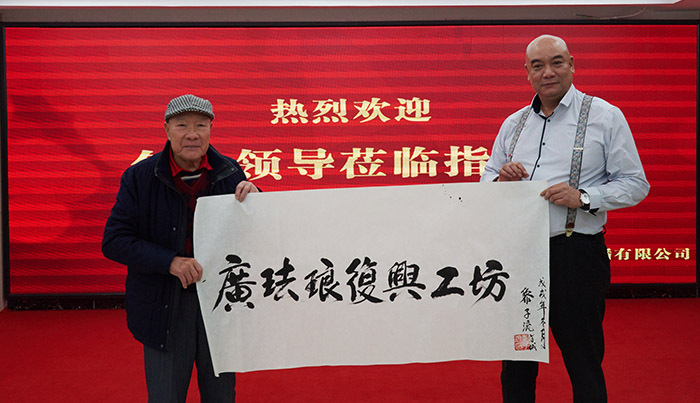 Liang Fubiao, President of LOTUSMAN, presented the painting “Phoenix Ascendant” to Mr. Li in return. The painted enamel technique originated from France. During the reign of Emperor Kangxi of the Qing Dynasty, it was introduced into the Guangzhou area of China. This fine craft entered China and was loved and valued by the emperors and ministers as special items exclusively for the imperial family. Guangzhou's enamel production is leading in China, and of a significant status. After the outbreak of the War of Resistance against Japanese Aggression, the Canton enamel technique gradually disappeared from people's sight. After years of hard work, exploration and experimentation as well as visiting various artists related to craftsmanship, digging deep into the cultural origins, and searching for skilled painters, LOTUSMAN finally restored the Canton enamel technique in 2017 with its original raw material and applied it to the production of high-end watches and fine arts. Through the application of Canton enamel technique on watch, LOTUSMAN hopes to introduce Canton enamel to more people, and pass down the traditional Chinese art treasures.